Duisburg, Germany – The trend in many industries is customization – customers can configure their own products. This can start with the granola they have for breakfast and extend all the way to purchasing a car, a process that now involves selecting many different features including engine performance and paint colour. For manufacturers that require flexible processes involving a wide range of raw materials, Brabender Technologie has developed a quick solution for bulk materials – the Easy Change version of the popular FlexWall Plus model. A feeding exchange module enables users to substantially reduce downtimes during product changeovers. One module will be in production while the other is being cleaned. This allows further quick product changeovers once the dry and wet cleaning process has been completed. “This smart solution minimizes cleaning times, accelerates bulk material changeovers and makes more formulations feasible with less equipment”, says Bernhard Hüppmeier, Head of D/A/CH Sales, in summary. The Easy Change design version of the FlexWall® will be one of the exhibition highlights at FAKUMA from October 16 to 19, 2018 in Friedrichshafen. 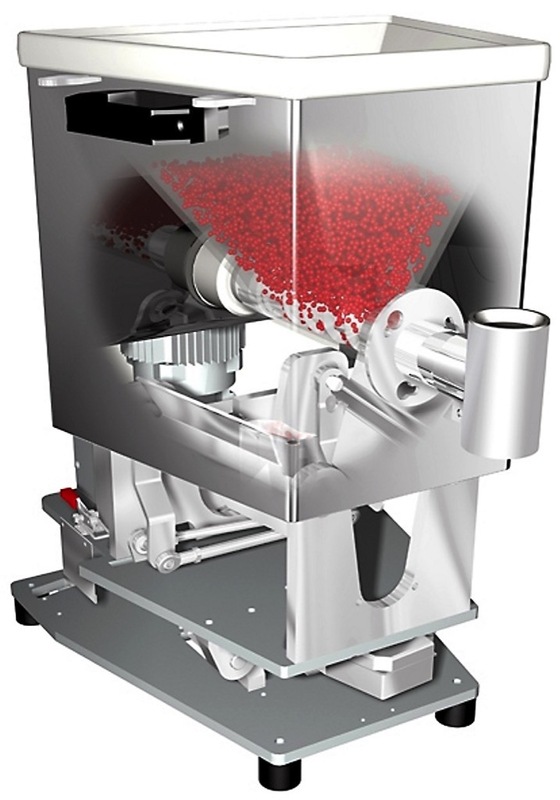 The Brabender FlexWall® Plus feeder is an all-purpose loss-in-weight feeder for practically any free-flowing bulk materials like powders, pellets or flakes. Its flexible polyurethane hopper features lateral massage paddles, which gently stir the bulk material and ensure mass flow without degradation. Different replaceable screw profiles are used depending on the bulk material handled and the performance range required. The Easy Change version includes the hopper, screw, screw tube and housing as a single unit. Quick-release clamps secure this unit to the chassis and drive mechanism. They only need to be released to enable any residual bulk material to be removed.